Everyone should have a “voice.” A voice to say what you feel, to be heard, and understood. It’s especially important for kids to have a voice, to speak up for what they need and advocate for themselves. Having a voice gives kids a sense of independence, empowerment, and connection to the community. Kids with a voice assert their feelings and opinions and stand up for themselves when necessary. They are not afraid to try new things, take healthy risks and keep moving forward even when faced with obstacles. But having a voice can be difficult if it has never been encouraged or practiced. Summer camp teaches kids to find their voice and gives them a sense of identity, confidence, and empowerment. Being able to express their likes and dislikes, and having their thoughts and feelings heard is a valuable part of the camp experience, and lets campers know they are an important part of the community. The power to express yourself at camp is encouraged, authentic, and is thankfully in the moment. It goes beyond postings on social media, and allows kids to express themselves face to face, with reactions that are present and immediate. All allowing kids to develop better communication and social skills, conflict resolution, and more meaningful connections. Having a voice at camp goes beyond expressing opinions, it’s also about making choices and owning those choices. 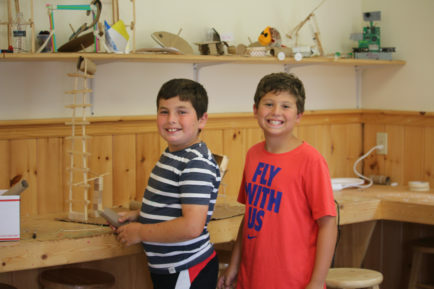 Mistakes may be made along the way, but campers learn to problem solve on their own, and build resilience. Mom and Dad are not there to step in and fix things, and kids learn to handle difficulties on their own and to trust themselves in the process. Each and every day, campers have the opportunity to decide what to wear, even if it’s the same few items of clothing for weeks at a time (sorry Mom). They choose what foods to eat, what electives to participate in, and what friendships they want to develop. For some campers, it’s the first time they are making these decisions and speaking up to get their needs met. Campers learn to speak up when they need something as simple as more toothpaste, or when they need some support working through homesickness or resolving a conflict with a bunkmate. Kids, often girls, struggle to find the balance of asserting themselves and worrying about being judged negatively. The camp environment takes away the judgement and provides a safe environment where kids feel safe to express themselves. Camp staff encourage, guide and model good choices, in order to give campers a voice and feeling of empowerment. They know that having a voice at camp will continue to serve them well all year long. Camp staff understand that confidence starts with trust, so they encourage kids to step outside of their comfort zone where they can build self-esteem and realize their capabilities. They may stumble along the way, but they receive the support needed to pick themselves up and develop greater confidence and determination. Expressing yourself at camp can also come through actions. Some campers find their voice through writing for the camp newspaper, The Iroquois Springs Times, or joining the camp theatre production. A voice can be heard through a leadership role during color week or participating in “girls on the run.” Having a voice is about finding something you care about and being present and open to being a part of the group. 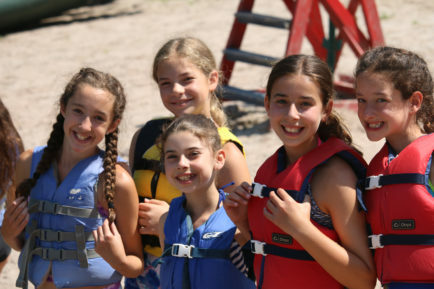 Camp helps kids develop their interests by exposing them to so many different activities. When kids find what they are passionate about, having a voice comes naturally. Having a voice at camp gives campers a sense of belonging, connectedness, and greater self-confidence that comes from being an active member in the camp community. Life will always present itself with moment we need to have a voice, and hopefully campers will remember that their voice is valued and should be heard!